Nita Ganguly is an educator and has won several national and state awards. She is also an environmentalist and a mentor for The climate reality project. Here is what I gotta say…. Recently I have been reading a lot of books for children. Don’t ask me why. I have a lot of amazing books right now in hand but these children’s books are attracting me like I missed some easily told lesson earlier and maybe a gentle reminder to never let the child die in you. So coming to this book, it is suitable for children of age above 6. 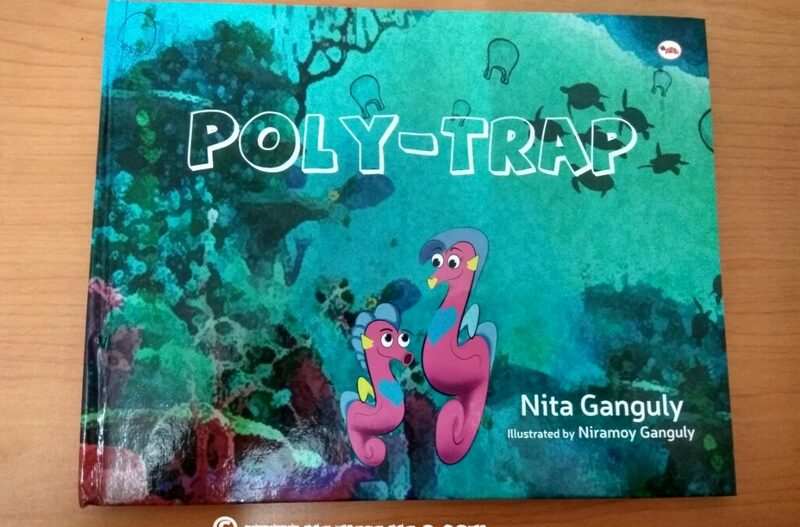 The book is in the form of a conversation between a mother and a son in the open sea, where they explore various sea animals. This book is filled with lessons and a kid can learn about the various sea animals and in just a few pages and better than textbooks. The book has 34 pages filled with illustrations and content. The author does a fine job of not only teaching about the sea animals but also trying to inculcate the habit of responsibility of a human being towards the mother nature. What happens is we grow up but we never learned to be responsible. We study hard the prescribed subjects and forget what is necessary. Books like these I believe would really make a kid responsible in the near future. It is a few minutes read for an adult and worth the time. The illustrations are beautiful and the language simple and understandable. The book is structured in a way that a child would love reading, understanding and using the book as a whole. If you are a mommy and have a kid around this age, read it along. The book also makes a good gift to a child in my opinion. I would rate it a 5/5. Oh Wow! I was just looking for new books for S and I see this. Going to buy this for sure. Sounds good. Will look out for this book when buying for my nephew.